About Personal Information | Matsuwaka Glass and Pearl Works Corporation. 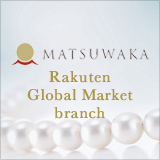 This website is operated by Matsuwaka Glass and Pearl Works Corporation (hereinafter referred to as "Company"). When using this website, please acknowledge and agree to each of the items below. For a safer and more comfortable use of our website, it is recommended that you use the current version of Internet Explorer, Chrome, or Firefox. The website may not be displayed properly due to certain browsers, applications, and other settings on your computer. names or registered trademarks of either the Company or the respective business or entity. Trademarked names of products and entities that appear on our website are mentioned only for the convenience of explanation, and the Company has no intention or objective of infringing upon trademark rights. These are for reference only. (1) While the Company gives its full attention and confirmation in regards to the information displayed on the website, it cannot guarantee the correctness, usability, certainty, safety, fitness for any particular purpose, and similar assurances of the information listed on the website. The Company shall not be liable for any damage arising out of the use of such information. (3) The content of a third party website that is linked with this website (hereinafter referred to as "Linked Website") is managed under the responsibility of the respective operator, and thus outside the scope of control of our Company. Such linkage does not indicate any special relationship or partnership between the Linked Website and our Company. The Company shall not hold responsibility for the content of Linked Websites, and shall neither be liable for any damage arising from the use thereof.